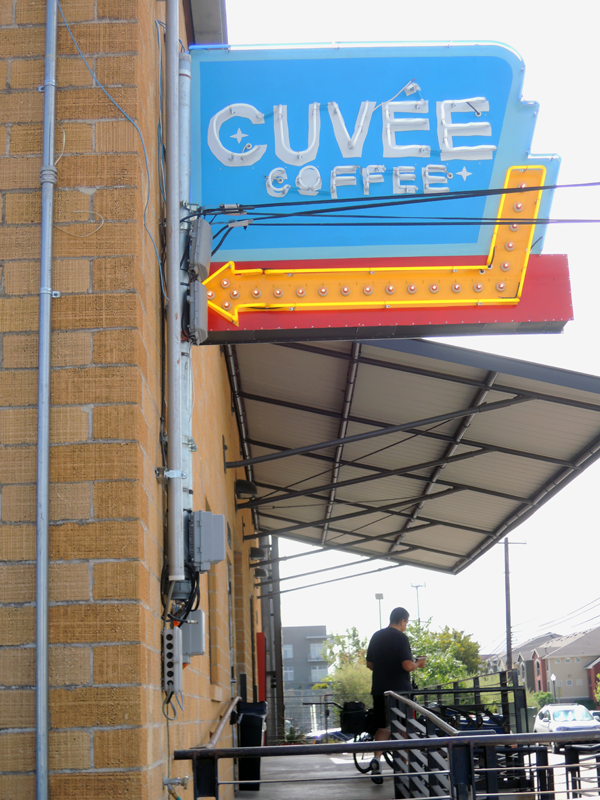 Cuvee has been in the revolution business since the late 80s, from the massively hacked vintage drum roasters at their Spicewood headquarters to the hot rod La Marzocco espresso machines they've rigged up at local shops to the kegs of Black and Blue nitrogenated cold brew coffee that are showing up at venue after venue. And now they've got a killer little coffee shop all the way down East 6th that's charting a new path for how coffee gets made. The bar is a long, enclosed island with coffee along the front side and beer (once the permits come through) around back. 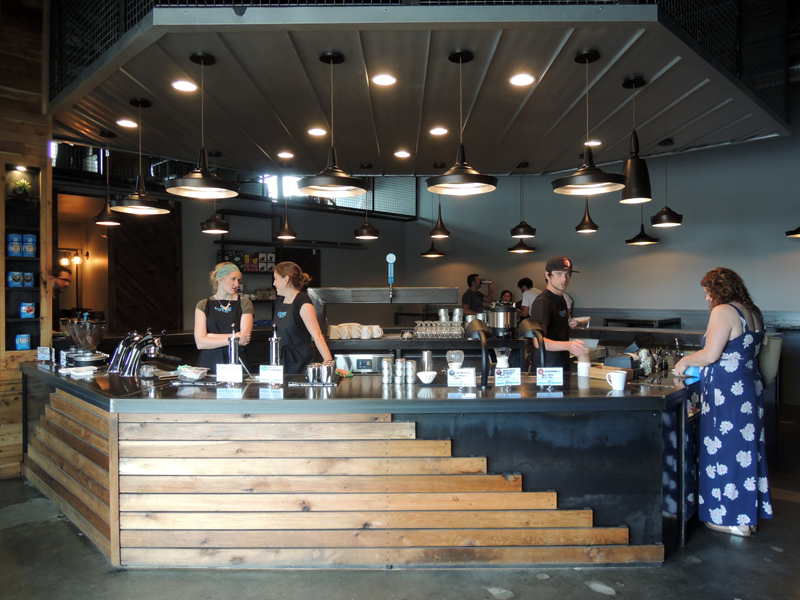 That long coffee counter is the first revolution. You don't step up to the register, pay, and wait for your drink to pop out the other end. Instead, you shepherd your coffee through the process. Start out with the cup - 2, 4, 8, 12 ounces. Then choose your espresso. Choose your milk. Get your drink. Pay. It's Freebirds for your coffee. It's different, but it's anything but complicated. The second revolution is the simplicity of the whole deal. There are no cortados or cappuccinos or macchiatos or flat whites or lattes. There is just espresso, coffee and milk. That's it. And really that's the way it's always been everywhere, it's just no one has really fessed up to it - all those drinks are just different names for proportions of the same two things. Sometime in the early 90s some clever folks up in Seattle fancified coffee. Cuvee took it back to words that make sense. The third revolution is the espresso machine. Or lack thereof. 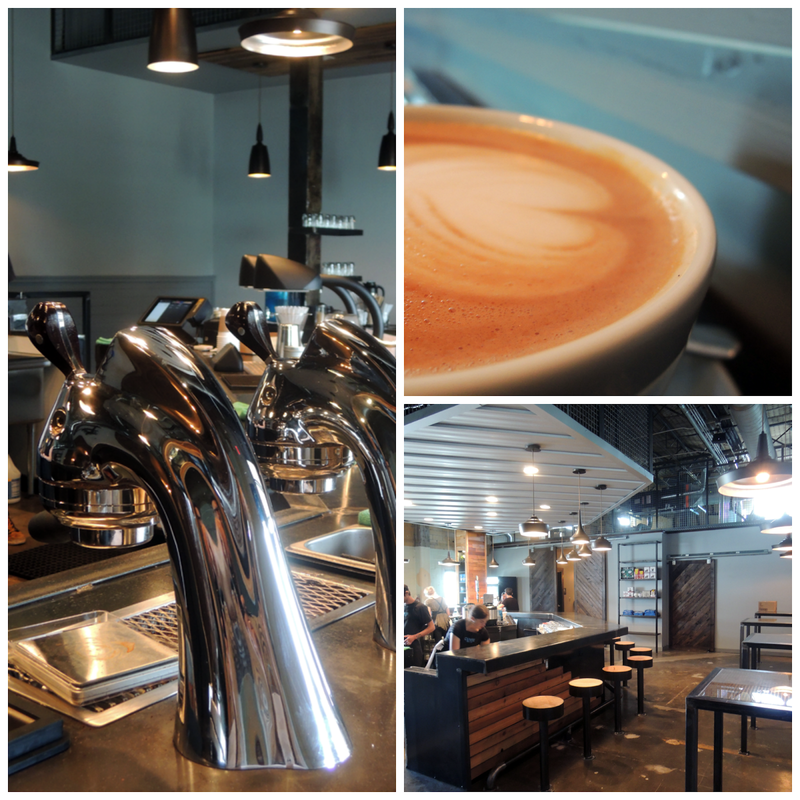 Just two sculpted chrome arms extending from the counter top and a barista ready to walk you through the process. The plumbing and control is all under the counter.Why erect a two foot wall between the person that's doing the drinking and the person that's pulling the shot? It's a little thing, but it goes a long way to bring you closer than you've ever been to your espresso without pulling it yourself. Mod Bar for the win. It goes without saying that the coffee is amazing - the pour over is the best I've had anywhere, and while the drink-formerly-known-as-latte was not the most beautiful I've seen, it was silky soft and rich. Meritage has been Cuvee's go-to Espresso blend for the better part of the last decade, and it's lovely and balanced. This espresso without bite, but with an earthy, woody depth that goes on a good long while. 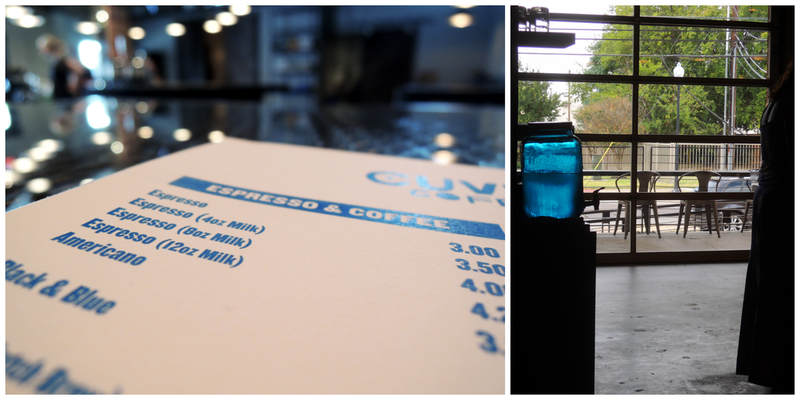 Cuvee isn't a coffee shop where you and your laptop go for the afternoon to escape the loud guy in the cube next to you. It's way too alive for that. This is a place you go to drink coffee, to connect with friends, and to play.